These beers. Next to one another. Oh man. 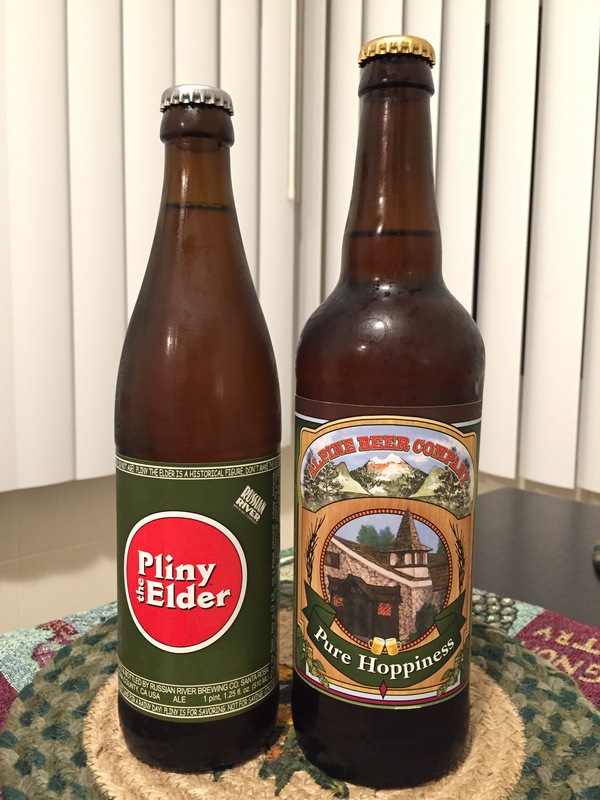 So I happened upon a fresh bottle of Pure Hoppiness yesterday at the store and my wife happened upon a fresh bottle of Pliny today so… time for a side-by-side tasting, methinks! 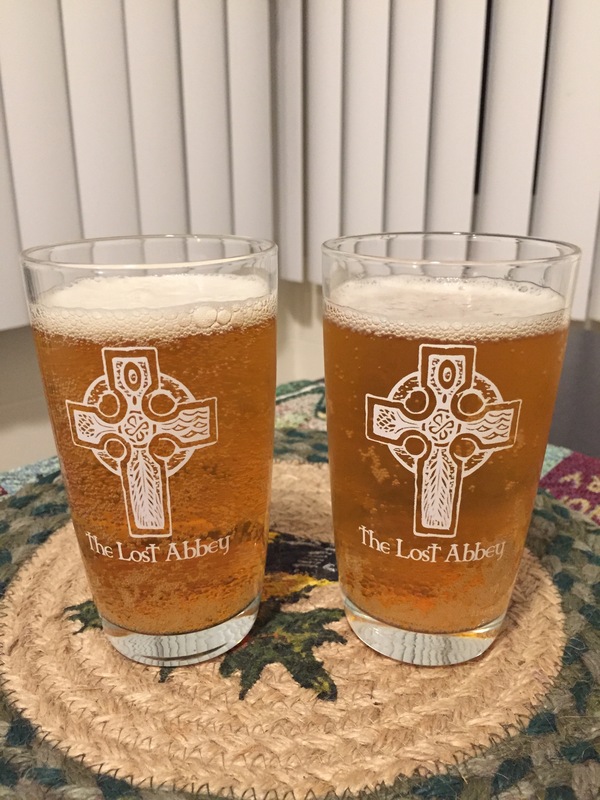 I did the tasting solo, although my wife offered input by tasting a thimbleful of each beer. She correctly identified them from the glass, by the way, such a babe. Pliny the Elder is a little on the grassy, fresh cut flower side. Plenty of citrus and hop oil character with a light, crispy malt backdrop. 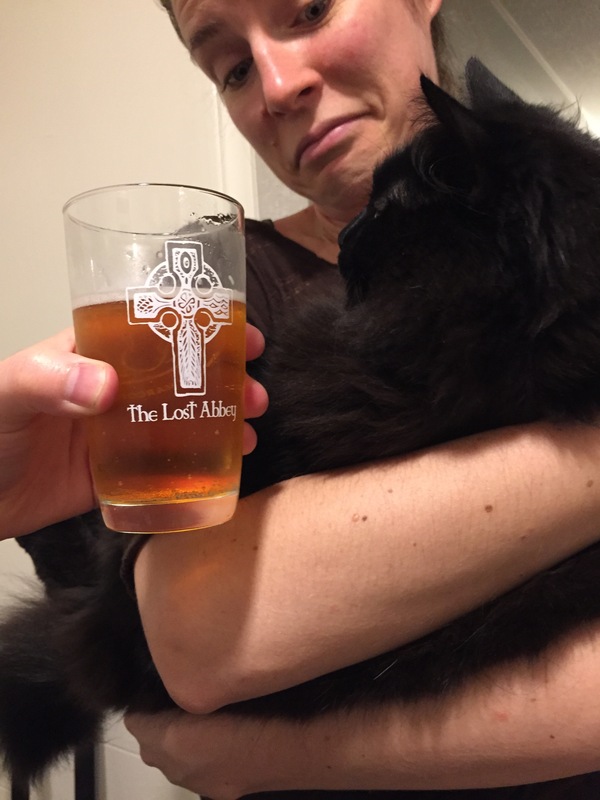 Pliny finishes clean and brisk, with a tingling mouthfeel that smacks of orange chiffon. Pure Hoppiness kicks things off with a little more heat, a bit boozier and more on the honey-sweet floral side than the grassy side. PH then segues rapidly into an herbal garden of hop sweetness and resinous tones. The mouthfeel is equally satisfying in the tingling sensation. Both of these beers are carbonated just right. I then offered Bruce Pure Hoppiness, but he recoiled. 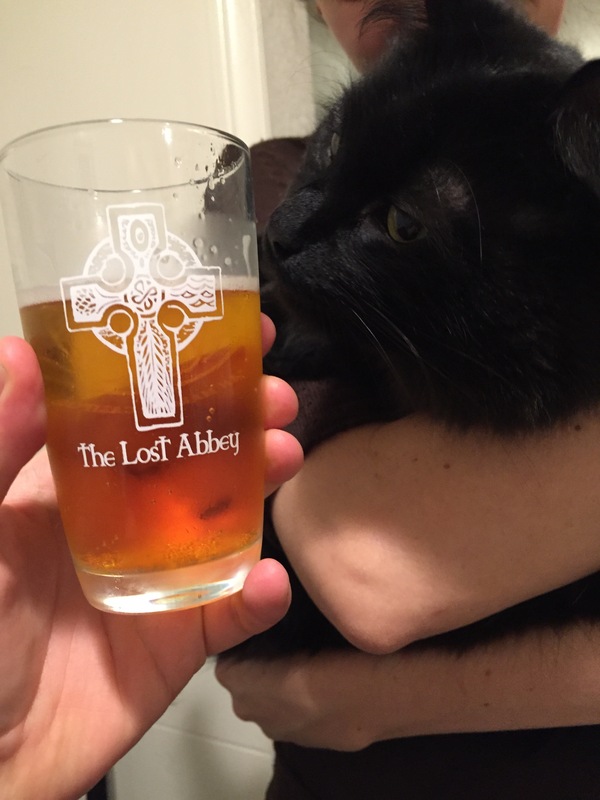 Apparently cats don’t dig hops as much as us humans do. In the end, if I had to pick just one to drink for the rest of my life (a sad fate, indeed) I think I would stick with Pliny. However, they’re both world-class beers and I feel guilty that I am drinking them both at the same time. I know that there are starving children out there. Forgive me.